We all know the importance of a website when it comes to your marketing strategy. 80 percent of prospective buyers check out a company’s website to evaluate them as a potential provider, and low-quality websites were cited as a disqualifier by about 30 percent of prospective customers. But what if a new corporate website didn’t make it into the budget for 2018? Here at VantagePoint, we recommend updating your corporate site every few years to ensure the latest best practices can be incorporated, changing customer needs can be addressed, and business strategies and goals can be supported. However, it isn’t always feasible to perform a complete overhaul. Fortunately, 26.8 percent of customers want to see improvements of the products and services they already use. So, if a full-blown reconstruction isn’t in the budget for this year, consider some of the improvements below to keep your site an up-to-date, user friendly and impactful marketing tool for your business. Do you have a distributor or sales team resource center, or an e-commerce element for products or replacement parts? Have you noticed an upward trend in visits to your site from mobile users? Even without a total overhaul of your site, minor updates can help make the site a more friendly experience for mobile users. Set a mobile-friendly preferred width. 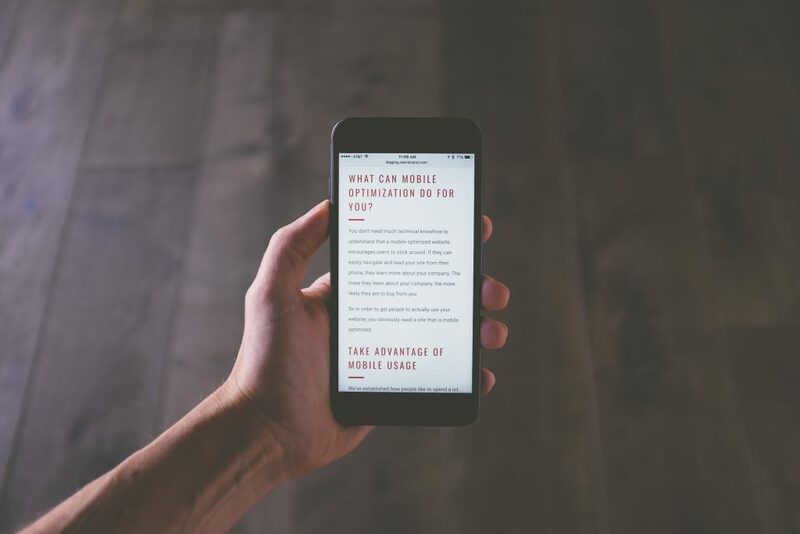 Standardize fonts to ensure they’re easily legible on smaller devices and make sure CTA buttons are large enough for mobile users to easily select. Has it been a while since you’ve invested in new photography or videography? Aesthetically, new imagery or a homepage video can greatly enhance the look and feel of your site. Create a silent video to showcase your corporate culture or brand. Add some product demo videos or refresh the photography throughout your site to re-engage your visitors. Even if you do none of the above, be sure to track your Google Analytics to observe how your website traffic is fluctuating, identify the content users gravitate toward and ensure users are finding the resources they need. That way, when you are able to rebuild your corporate site, you’ll be ready. In the meantime, browse this case study for website inspiration!